The Long Branch PTA Book Fair is a week-long event that raises money to support Long Branch students and their teachers. This year’s event involved more than a dozen parent volunteers and raised over $3,500 for the school. Book Fair coordinators were Kara DeFillipi, Stephanie Dinnen-Reini and Jennifer Grillo. 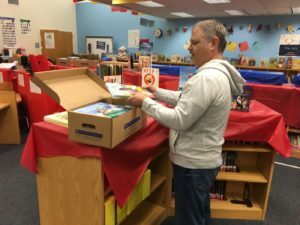 “As a parent of an APS Kindergartener, I wanted to jump in and find a way to help out right away. The PTA’s Book Fair was a great way for me to immediately feel like part of the Long Branch community, interact with the kids, and help inspire my children and others to read more. 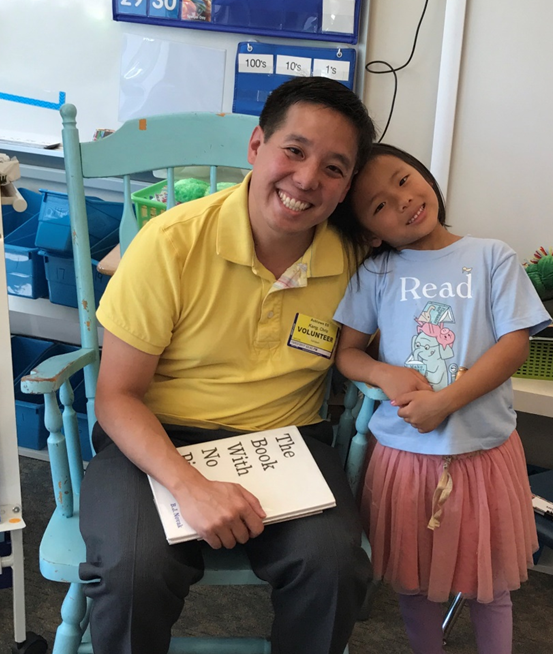 I will definitely seek out other ways to stay involved with APS schools,” said Kristopher Zeller, Long Branch parent and first-time APS volunteer. For the past several years, a group of men from the Mount Olive Baptist Church have been mentoring fourth and fifth grade boys at Hoffman-Boston Elementary. They call themselves the Character Club! They meet on Thursday afternoons after school to talk about character values and other topics the boys want to discuss. Their meetings include time playing basketball together, field trips and other activities to encourage, motivate and support the boys. 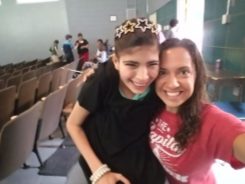 Emily Spellman, a fourth grade teacher, saw positive results in her students last year. “The boys were excited about sharing their academic successes with their mentors. They took more pride in who they were and what they were doing. 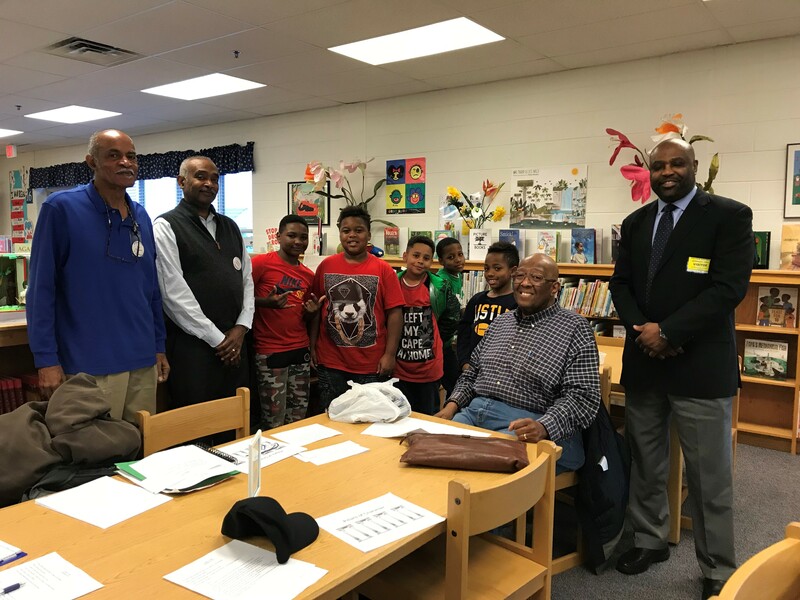 It gave an outside connection.” Hoffman-Boston would specifically like to thank Jeffrey Eskridge, Bernard Jones, Walter Smith, Michael Thomas and Frank Wilson for their time and dedication to mentoring our students. During the summer, students and families from Barcroft, Carlin Springs, Drew and Randolph elementary schools enjoyed a fun way to continue enjoying reading. They were invited to participate in the fifth summer of the Traveling Trolley! 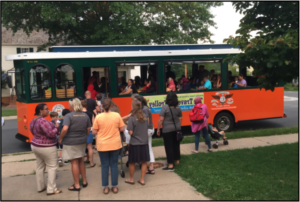 For four weeks, the Traveling Trolley came to specific neighborhoods and picked up students and parents, then took them on an fun journey to one of our local public libraries. New Carlin Springs Principal, Eileen Delaney, and Assistant Principal, Melinda Philips were both along for the ride. While at the library, children and families had opportunities to listen to stories, visit with friends and teachers from their school community, check out library books, and enjoy a delicious snack! Special thanks to Graham Holdings and the Arlington County Public Libraries, along with the many staff and community volunteers for their continued support for this important summer learning initiative.